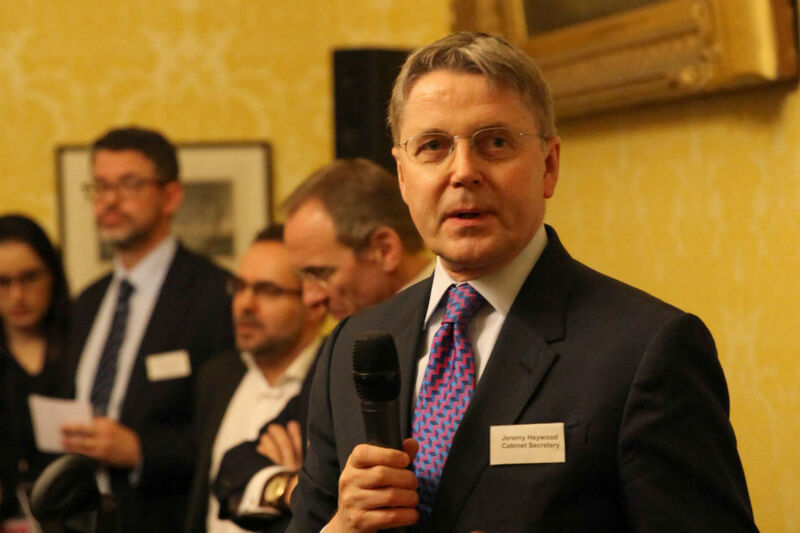 The late Sir Jeremy Heywood, former UK cabinet secretary. That tally of prime ministers reached four: Labour’s Blair and his successor Gordon Brown, plus the Conservatives’ David Cameron and Theresa May. For Heywood had a remarkable talent for winning the trust of ministers – who recognised both his unrivalled ability to push reforms and policies through Whitehall, and his complete commitment to delivering for the elected government of the day. Born in Derbyshire on 31 December 1961, Heywood attended the Quaker school where his father was a teacher. There, he won a place at Oxford University to study history and economics – and perhaps picked up some of the school’s ethics and attitudes: “An atheist, he was a life-long model of the calm, cerebral, ethical Quaker,” wrote former transport secretary Lord Adonis in his Times obituary. In autumn 2007 came the credit crunch and the collapse of UK bank Northern Rock – when Heywood’s unflappable demeanour and his capacity for shrewd analysis again proved invaluable. “He could analyse a problem extraordinarily quickly,” former cabinet secretary Lord Turnbull told CSW. “He always kept his cool and focused on the issue”. In 2008, Brown gave Heywood greater heft at the heart of government by creating a new role for him: permanent secretary of Number 10. There, he helped facilitate and maintain the Coalition government, and in 2012 was made cabinet secretary: the PM’s leading policy adviser. Two years later he also became head of the civil service (HCS), taking on the corporate aspects of civil service leadership following the departure of HCS Bob Kerslake. Heywood’s relentless rise, persisting through governments comprising all three main parties, demonstrates his unparalleled capacity to make himself invaluable to each new PM. “Jeremy defied every convention about the experience you would need to perform these roles – but was also clearly the only candidate any PM would consider,” commented Jill Rutter, a former Treasury colleague now working at think tank the Institute for Government. Successive PMs quickly recognised his uncanny ability to calmly assess a problem, devise a solution, and galvanise people in its pursuit; and because they could see his utter commitment to realising their goals, they trusted him when he told them things they didn’t want to hear. As Bob Kerslake told CSW: “The very fact that he wouldn’t just say to PMs: ‘That’s too difficult,” was what gave him the authority to be direct when it really mattered”. It is hard, though, to imagine Heywood uttering the words ‘too difficult’. He loved devising inventive solutions to problems: “Jeremy was very innovative; he wanted to find new ways of doing things,” former cabinet secretary Lord O’Donnell recalled on Radio 4’s Westminster Hour. And he was an excellent judge of character, “as good at reading people as he was situations,” as Alastair Campbell wrote in the New European. Heywood himself appeared to lack ego; what mattered was the goal, not who scored it. And he pursued his goals with an impressive blend of unfailing courtesy, inarguable logic and understated charisma – a combination as potent with this reporter as with ministers and his Whitehall colleagues. As Rachel Hopcroft, his PPS for four years, told CSW: he used “warmth, charm and a lot of empathy to understand where people were coming from”. He’d then win people’s support “by commanding respect; this wasn’t someone who’d bully people,” O’Donnell told Radio 4. It was significant that, alongside the modern art adorning his Number 10 office, Heywood kept a bust of Gandhi: “Not a role model, but an inspiration,” he told me with a smile. He retained that sense of humour even when – as the increasingly rancorous Brexit debate poisoned the public discourse – Heywood became a target of Brexiteers suspicious of a Whitehall establishment they saw as a Remainer fifth column. “He was undermined and attacked by the press, politicians and even from within government, but he was committed to delivering the best possible outcome for the country in the most extraordinary circumstances,” Dave Penman of the FDA Union told CSW. And he continued doing so even after being diagnosed with cancer, handling his illness with incredible fortitude; he finally stepped down just two weeks before his death, receiving a peerage. The politicians who really mattered ignored those attacks – for they had enormous trust in both Heywood’s skills, and his commitment to delivering their aims. “Most ministers don’t want ‘yes men’ or ‘yes women’; they want people who are prepared to speak truth unto power and give them the best possible, evidence-based advice,” he told me in a 2012 CSW interview. 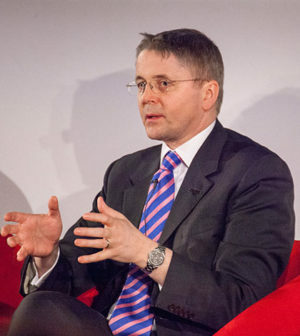 And that may be true – but nobody could provide advice quite like Jeremy Heywood.